The Second Book of Amerindo Kitchen in Series has been published and is available now at LULU.com. You can save 20%, valid through 10/08/2010. Max savings $50. Enter code FALLPHOTO when you checkout. 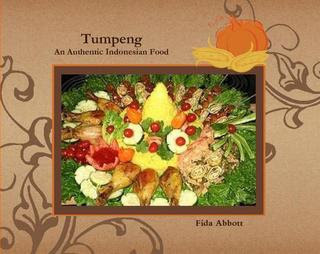 Tumpeng, An Authentic Indonesian Food is the second book of Amerindo Kitchen in Series. It presents 26 pages, full colors of author's own pictures, author's own recipes and author's own stories. It is great as a collection and a gift. Revenue will be donated to Unreached Children Program. Print details: 9" x 7", perfect binding, white interior paper (80# weight), full-color interior ink, white exterior paper (100# weight), full-color exterior ink. To preview several pages, visit this link and click 'Preview'.